There are two episodes of BZS1422 left until the end, and over these past 135 episodes, Chii hasn’t been successful in not flubbing her words at least once per episode. Not even once. She swears that on this episode, though, she’s going to do just that. Kumai-san asks Chii if she’s absolutely sure she wants to make such a bold statement, and Chii answers in the affirmative: she is sure. Chii flubs her words around 45 seconds later. The two hosts welcome their very special guests of the week. They introduce themselves as Shimizu “likes the easiness of having short hair” Saki, Tsugunaga “cute” Momoko, Sudo “likes Little My” Maasa, Natsuyaki “likes the summer” Miyabi, and Sugaya “loves secondhand clothing” Risako. Chii asks them all to relax: everyone seems to look very worried about being featured on a radio show hosted by Chii and Kumai-san of all people. Kumai-san: You came on as a guest before, right, Captain? You seemed worried back then, too. Captain: Right. Because you two don’t listen to a word of what the staff tells you. 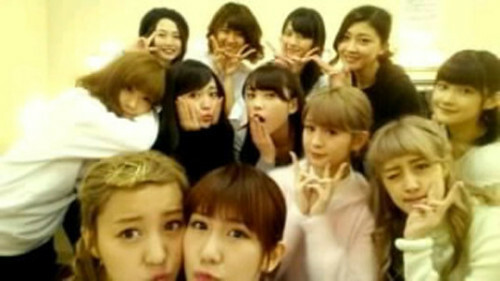 Berryz Koubou’s final Hello!Con tour ended on the 15th. Chii and Kumai-san reminisce about their first Hello!Con tours back when they’d just joined 12 years ago, and how the Kids have since become the oldest active members of Hello! Project. So much has changed and evolved within H!P over these years, and Kumai-san thinks that evolution was especially evident with the “DANCE MODE” pattern of the latest tour what with the high-level acrobatics and all. The two share a strained laugh, however, when they come to the realization that despite this having been their last tour with H!P, not even one member of Berryz was included in said acrobatics performance. 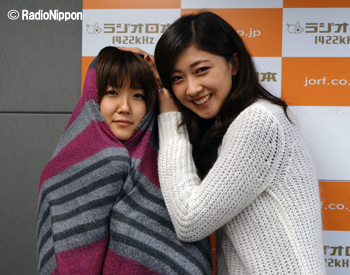 Chii asks what kind of music Kumai-san has been listening to lately. 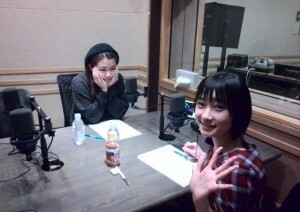 Of the 136 or so songs released by Berryz Koubou to date, Kumai-san says especially feels like listening to their album and coupling tracks every once in a while, naming “Kimi no Tomodachi” and “Gaki Daishou.” In other words, she mostly enjoys the lesser-known material, but as Chii points out, Berryz has lots of lesser-known songs that are also really great. As for non-H!P music, Kumai-san has previously mentioned on the show that she likes NAOTO INTI RAYMI, an artist she still listens to. But lately it’s mostly the Western artists that have been getting her attention, including Ariana Grande, Katy Perry and Taylor Swift. When she hears Western songs she likes at shops and such, she uses an app on her phone to find out the artist so she can listen to it again later at home. Meanwhile, Chii is completely hooked on Disney music at the moment. She enjoys the variety: they have the ballads but also the really energetic songs as well. Some of her recent favorites include “Umarete Hajimete” (“For the First Time in Forever”) from Frozen, “Part of Your World” from The Little Mermaid, and a song from Tangled whose title she doesn’t remember. We’re a week away from Valentine’s Day. Usually the members of Berryz hold a yearly Valentine’s Day gift exchange, but this year they’re discussing their options — there happens to be a Hello!Con performance on the 14th and they simply don’t have the time to make edible Valentine’s Day goodies for everyone from H!P. Three members of °C-ute are celebrating their birthday this week: Nakajima Saki, Yajima Maimi and Hagiwara Mai, who are turning 23, 21 and 19, respectively. The hosts are amazed that three of °C-ute’s five members would all have their birthdays on the same week. “It’s like it was their life destiny to meet each other,” Kumai-san says. Chii assumes the members must be busy holding parties to properly celebrate all these birthdays. And speaking of parties, °C-ute actually held a surprise party for the members of Berryz Koubou on January 29th. They’d been preparing for it for quite some time, and even all the managers were in on it: when Chii asked her manager about her work schedule, she was told that they had some kind of a “secret” job on that day. Somehow everyone managed to protect the secret until the party, and touching moments were had and tears were shed. On February 15th it was Ogata Haruna’s birthday. Happy Birthday Haruna! As Kanon’s explained before, Haruna and Kanon are in the same year of high school, and because of this she would like to talk with her more. Haruna’s from Osaka, so she will sometimes speak in Osakan Dialect; although with Kanon she will speak formally. Although, sometimes Haruna’s Osakan dialect will slip out while speaking formally and Kanon thinks is adorable. Haruna is very fair-skinned, like Mizuki, with skin that looks light and marshmallow like, in Kanon’s opinion. She thinks Haruna’s skin is light enough to the point where it looks like she has such smooth skin that she resembles a mermaid to Kanon. She laughs and wonders if its ok to say this, but she really does likes Haruna’s skin. Anyway! Kanon is the same age as Haruna but is her senior and wonders if she will become like a rival for her in the future. In any case, Kanon will continue to do her best. Kiritsu! Rei! Chakuseki! (Rise! Bow! Return to your seats!) 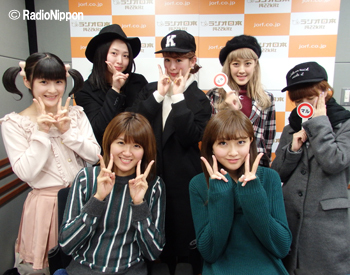 was Berryz Kobo’s first radio show which ran for 5 years, from March 2004 until March 2009. In March 2014, they reunited for a 10 year special broadcast. 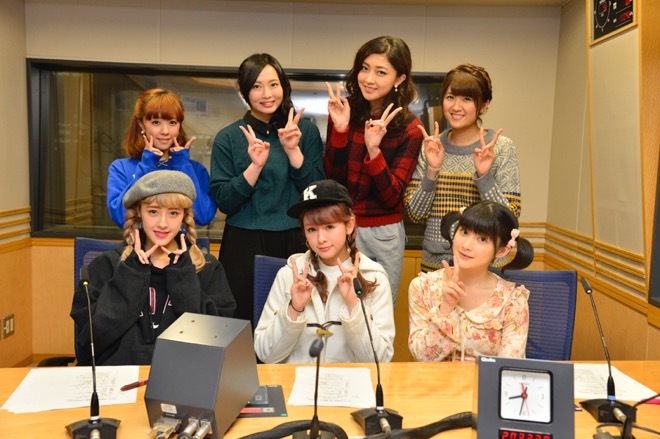 Now, for the final time, the girls get together again for a special broadcast, ‘Berryz Kobo Kiritsu! Rei! Chakuseki! 11-nen no kiseki’ (11 years of miracles). In the previous, first part of the summary, the girls looked back on their 11 years of activities. They also received several messages from concerned parties. In this second part of the summary, one-by-one, the girls convey their messages to the fans. Since they’ve gone through all this trouble to hold this special programme, the members, one-by-one, will deliver their messages to the fans. While they’re sure that they’ll have parting words at their final Budokan concert, with all the goings-on at the concert, they’d be at an emotional peak at that point in time. With this opportunity, while they’re still composed, they’d like to convey what they would like to say. Everyone’s nervous, so Momochi volunteers to be the first to give her message. She doesn’t like solemn atmospheres, so she’ll just go at it with the mood as-is. To all the listeners, to all the fans, thank you for the tons and tons of love you’ve showered us with throughout these 11 years. Just as you can hear even from today’s radio broadcast, I may seem inconsiderate. Yet even someone like me gets told ‘You’re cute, you’re cute‘. I truly do receive a lot of love from you. Thank you so very much. The memories of Berryz Kobo really warm me up from within. Of course, I believe that it’ll always remain in my heart. I wish that it would continue in the fans’ hearts as well. I’d like it if Berryz Kobo would continue to be rooted in your hearts forever. Please be prepared for it. For these 11 years, thank you very much. Berryz being Berryz, the members teasingly comment about Momo becoming all serious. Chinami: When you mentioned the part about being rooted in their hearts, it was a serious comment that you wouldn’t expect to come from Momochi. It’s Christmas Eve eve, and that is the essence of Agepoyo, I guess. For those who don’t know, agepoyo is a phrase coined by gyaru that has passed down through mostly young women to convey feelings of excitement and happiness, and so it is suitable to say it in this case. I don’t know, no one ever questions when someone says it, so I assume you can just yell it anywhere. Karin directs the conversation towards Christmas and asks what Sayubee would like to eat for Christmas Eve. Sayubee says that her family always has turkey, and she has no idea where her mom gets it from, but it’s something she looks forward to every year. Karin’s mother, on the other hand, brings home a chicken to prepare, which briefly startles Sayubee who interprets this to mean she brings home an actual, living chicken that they kill in their house and then eat. Karin attempts to get that horrifying image out of our minds and says that she brings it home from the grocery store, as regular chicken meat, and they bake it with various toppings and such. Once Sayubee settles down from imaging the Miyamoto yearly chicken slaughtering, she asks Karin to bring her some. They then read a fan letter from Luka, who wants to know what their most memorable Christmas present was. Karin’s was a tape-player karaoke machine that hooked up to the TV. Based on the description I assume it was a while ago, but she recalls this being the happiest she’s ever been to get a present. Sayubee’s was a PS3, which she had been asking for for year before finally getting one, which is why it sticks out in her mind. This discussion reminds both of them that the Juice=Juice Christmas present exchange is tomorrow… and neither of them have purchased anything for it yet. So that should be fun. In this first part of the summary, the girls look back on their 11 years of activities. They also receive several messages from concerned parties. In the second part of the summary, one-by-one, the girls convey their messages to the fans. With the traditional Kiritsu! Rei! Chakuseki! 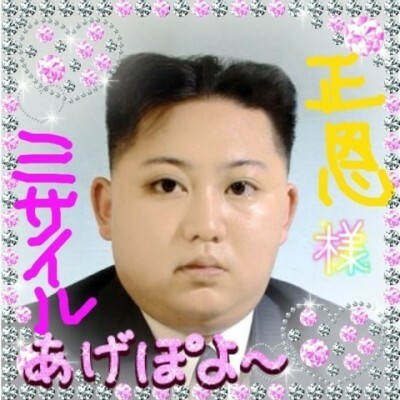 (KRC) greeting of ‘Konbanuhhi!’, the members introduce themselves in eldest-to-youngest order. The girls explain that KRC was their first regular programme as Berryz Kobo, and in this special broadcast, their very last KRC, they’ll be talking about Berryz Kobo’s 11 years of history. In the five years of the original run, Chinami felt like the recording studio had become their second home. But yeah, 11 years. Chinami reflects that when she sees her juniors again after an extended period of time, she notices how much they’ve grown. In a way, this was a change of positions – it used to be that they would receive comments about their growth from their seniors. Risako adds that the juniors are pretty spirited when it comes to greeting their seniors i.e. the girls of Berryz Kobo. She now understands how their own seniors must have felt when their seniors told them that it was unnecessary to be so enthusiastic in their greetings. Momoko announces that there’s a letter from Tsunku♂-san, and hands it over to Kumai-chan to be read out. “Talk about the non-H!P related goings-on in your private life as of late.” That’s what the script instructs the hosts to do, and Kumai-san begins by sharing that she did something very girly the other day: cooking! Chii has trouble believing this but Kumai-san insists it’s true: she baked a chocolate banana pound cake. “Why?” Chii asks, and Kumai-san explains that it was simply because she had some bananas laying around that had gotten a bit past their prime and she figured they’d taste better in a cake. 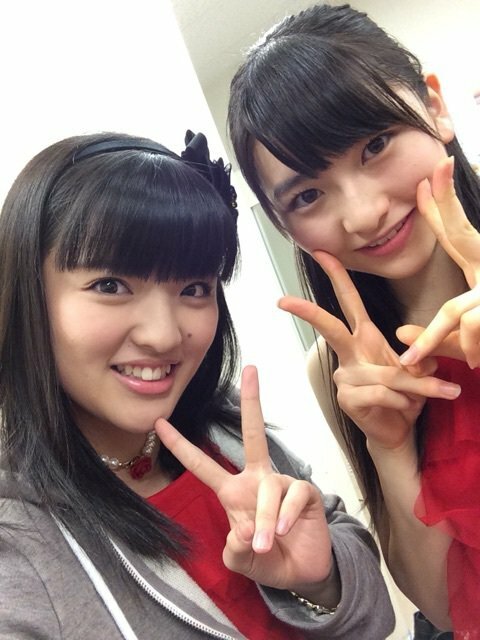 As for Chii, her big sister recently attended something called the Furusato Matsuri at Tokyo Dome. It’s an annual event with lots of stalls selling all kinds of prefectural cuisine for the people of Tokyo. Seeing her sister’s pictures from the event, everything there looked very delicious. And what does all this have to do with Chii specifically? Well, she recently thinks she’d like to attend this event. Next year.